No time to read this post? 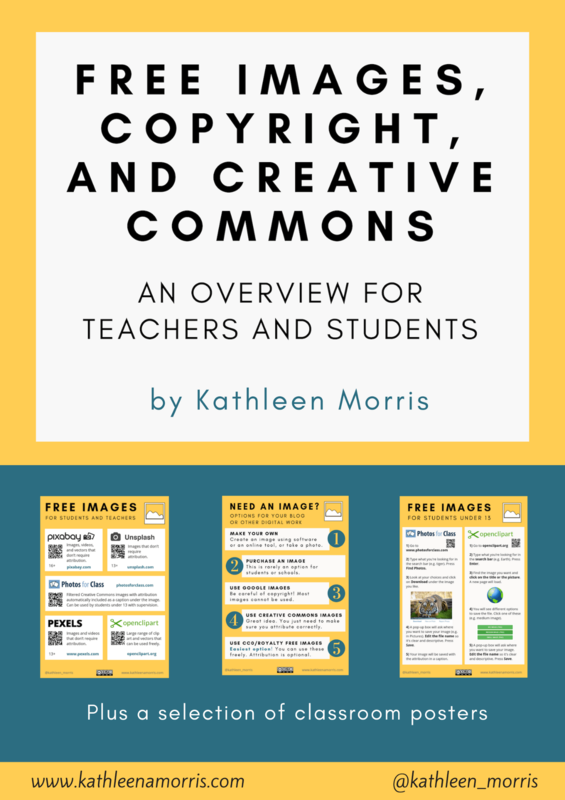 I can email you a PDF copy that includes three posters to use in your classroom. Enter your details here. How often does this scenario play out in your classroom? 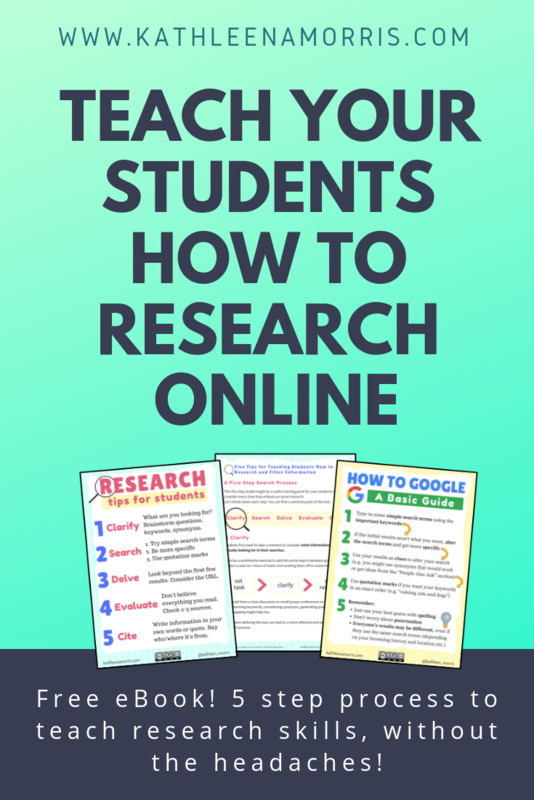 You want your students to go online and do some research for some sort of project, essay, story, presentation etc. Time ticks away, students are busy searching and clicking, but are they finding the useful and accurate information they need for their project? We’re very fortunate that many classrooms are now well equipped with devices and the internet, so accessing the wealth of information online should be easier than ever, however, there are many obstacles. Phew! No wonder things often don’t turn out as expected when you tell your students to just “google” their topic. All of these above skills can be said to come under the term of information literacy, which tends to fall under a broader umbrella term of digital literacy. Being literate in this way is an essential life skill. This post offers tips and suggestions on how to approach this big topic. Scroll down to find a handy poster for your classroom too. 💡 While teaching researching skills is something that should be worked on throughout the year, I also like the idea of starting the year off strongly with a “Research Day” which is something 7th grade teacher Dan Gallagher wrote about. Dan and his colleagues had their students spend a day rotating around different activities to learn more about research skills. Something to think about! Google or a Kid-friendly Search Engine? If you teach young students you might be wondering what the best starting place is. I’ve only ever used Google with students but I know many teachers like to start with search engines designed for children. If you’ve tried these search engines, I’d love you to add your thoughts in a comment. 💡 If you’re not using a kid-friendly search engine, definitely make sure SafeSearch is activated on Google or Bing. It’s not foolproof but it helps. These sites are powered by Google SafeSearch with some extra filtering/moderating. KidzSearch contains additional features like videos and image sections to browse. While not necessarily a bad thing, I prefer the simple interface of Kiddle and KidRex for beginners. This article from Naked Security provides a helpful overview of using child-friendly search engines like Kiddle. To summarise their findings, search-engines like Kiddle can be useful but are not perfect. For older children, however, the results in these search engines may be too restrictive to be useful, and will likely only frustrate children to use other means. Remember, these sorts of tools are not a replacement for education and supervision. Maybe start with no search engine? Another possible starting point for researching with young students is avoiding a search engine altogether. Students could head straight to a site they’ve used before (or choose from a small number of teacher suggested sites). There’s a lot to be learned just from finding, filtering, and using information found on various websites. This five-step model might be a useful starting point for your students to consider every time they embark on some research. Let’s break down each step. You can find a summary poster at the end. Students first need to take a moment to consider what information they’re actually looking for in their searches. It can be a worthwhile exercise to add this extra step in between giving a student a task (or choice of tasks) and sending them off to research. You could have a class discussion or small group conferences on brainstorming keywords, considering synonyms or alternative phrases, generating questions etc. Mindmapping might help too. Time spent defining the task can lead to a more effective and streamlined research process. 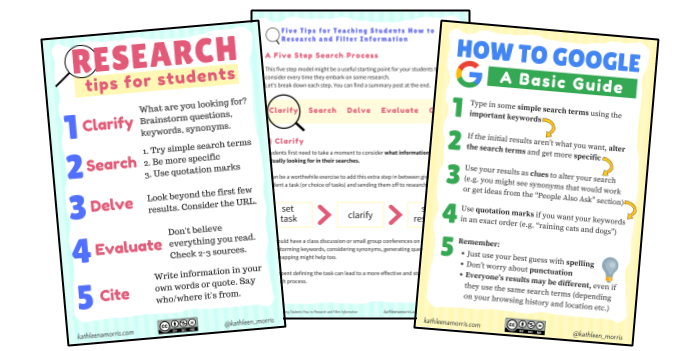 It sounds simple but students need to know that the quality of the search terms they put in the Google search box will determine the quality of their results. There are a LOT of tips and tricks for Googling but I think it’s best to have students first master the basics of doing a proper Google search. There’s lots you can learn about Google searches. I highly recommend you take a look at 20 Instant Google Searches your Students Need to Know by Eric Curts to learn about “instant searches”. Med Kharbach has also shared a simple visual with 12 search tips which would be really handy once students master the basics too. The Google Search Education website is an amazing resource with lessons for beginner/intermediate/advanced plus slideshows and videos. It’s also home to the A Google A Day classroom challenges. The questions help older students learn about choosing keywords, deconstructing questions, and altering keywords. This easy to understand video from Code.org to explains more about how search works. You might like to share this video with older students that explains how Google knows what you’re typing or thinking. Despite this algorithm, Google can’t necessarily know what you’re looking for if you’re not clear with your search terms. Entering quality search terms is one thing but knowing what to click on is another. You might like to encourage students to look beyond the first few results. Let students know that Google’s PageRank algorithm is complex (as per the video above), and many websites use Search Engine Optimisation to improve the visibility of their pages in search results. That doesn’t necessarily mean they’re the most useful or relevant sites for you. Point out the anatomy of a Google search result and ensure students know what all the components mean. This could be as part of a whole class discussion, or students could create their own annotations. An important habit to get into is looking at the green URL and specifically the domain. Use some intuition to decide whether it seems reliable. Does the URL look like a well-known site? Is it a forum or opinion site? Is it an educational or government institution? Domains that include .gov or .edu might be more reliable sources. When looking through possible sources, you may want to teach students to open sites in new tabs, leaving their search results in a tab for easy access later (e.g. right-click on the title and click “Open link in new tab” or press Control/Command and click the link). 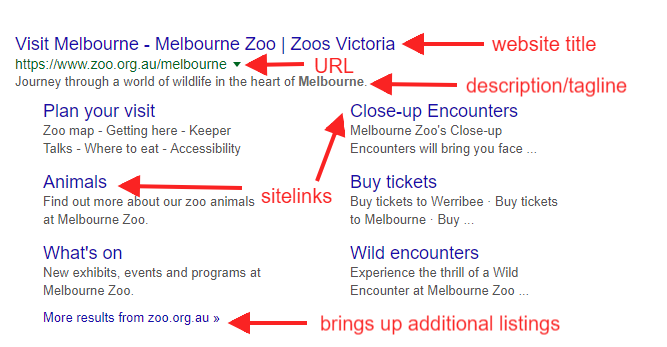 Once you click on a link and land on a site, how do you know if it offers the information you need? Students need to know how to search for the specific information they’re after on a website. Teach students how to look for the search box on a webpage or use Control F (Command F on Mac) to bring up a search box that can scan the page. Ensure students understand that you cannot believe everything you read. This might involve checking multiple sources. You might set up class guidelines that ask students to cross check their information on two or three different sites before assuming it’s accurate. I’ve written a post all about teaching students how to evaluate websites. It includes this flowchart which you’re welcome to download and use in your classroom. So your students navigated the obstacles of searching and finding information on quality websites. They’ve found what they need! Hooray. Many students will instinctively want to copy and paste the information they find for their own work. Obviously, we need to inform students about plagiarism and copyright infringement while giving them the skills they need to avoid this. Students need to know that plagiarism is taking someone’s work and presenting it as your own. You could have a class discussion about the ethics and legalities of this. Students also need to be assured that they can use information from other sources and they should. They just need to say who, where it was from etc. Give students lots of practice writing information in their own words. Younger students can benefit from simply learning how to put information in their own words. Older students could investigate the difference between paraphrasing and summarising. This fact sheet from the University of New England might be a useful resource to help with this. Students also need a lot of practice using quotation marks and citing sources. How formal you make your teaching of citation will depend on your students’ age and your curriculum guidelines. There are many ways you can teach citation. I like Kathy Schrock’s PDF document which demonstrates how you can progressively teach citation from grades 1 to 6 (and beyond). It gives some clear examples that you could adapt for your own classroom use. CitationGenerator is a really handy free online tool without ads that helps with citation. Note: I had previously recommended EasyBib as a tool to help with citation. Thank you to reader Jenn who let me know that EasyBib now has advertising and is less easy to use. She found out about CitationGenerator from Chicago Education newsletter. It looks like a great find to me! You might also like to set up a system for students to organise their information while they’re searching. There are many apps and online tools to curate, annotate, and bookmark information, however, you could just set up a simple system like a Google Doc or Spreadsheet. One free tool I’ve found particularly useful recently is Wakelet. 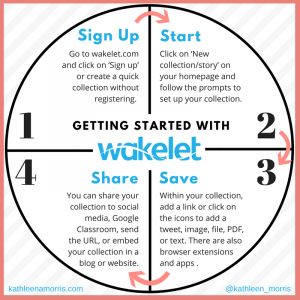 Using Wakelet, you build collections of content from around the web. The format and function is simple and clear meaning students don’t have to put much thought into using and designing their collections. Instead, they can focus on the important curation process. 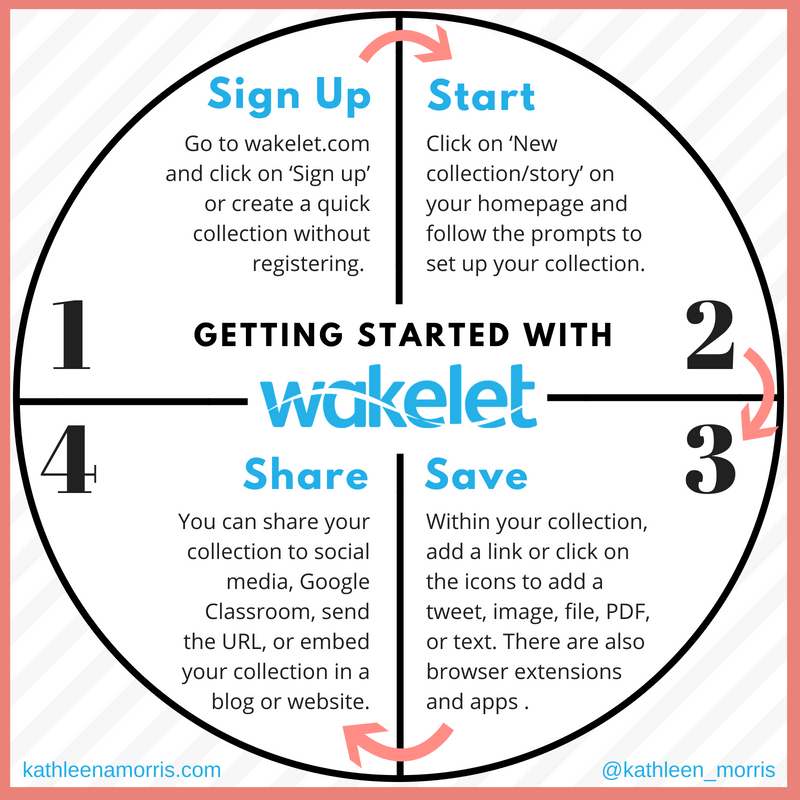 💡 If you’re interested in learning more about Wakelet I’ve written a post about how to use it in the classroom. Take a look! Bring These Ideas to Life With Mini-Lessons! We know how important it is for students to have solid research skills. But how can you fit teaching research skills into a jam-packed curriculum? 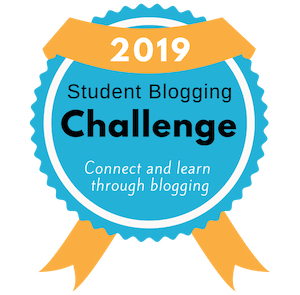 The answer may be … mini-lessons! Whether you teach primary or secondary students, I’ve compiled 50 ideas for mini-lessons. Try one a day or one a week and by the end of the school year, you might just be amazed at how independent your students are becoming with researching. I’ve also summarised the lessons into a 6 page PDF. So you can print this out to refer to regularly or share with colleagues. Click here to check out the mini-lessons. In early 2019, I was contacted by Noah King who is a teacher in Northern California. Noah was teaching his students about my 5 step process outlined in this post and put together a Google Slides Presentation with elaboration and examples. You’re welcome to use and adapt the Google Slides Presentation yourself. Find out exactly how to do this in this post. The Presentation was designed for students around 10-11 years old but I think it could easily be adapted for different age groups. Being able to research effectively is an essential skill for everyone. It’s only becoming more important as our world becomes increasingly information-saturated. Therefore, it’s definitely worth investing some classroom time in this topic. Developing research skills doesn’t necessarily require a large chunk of time either. Integration is key and remember to fit in your mini-lessons. Model your own searches explicitly and talk out loud as you look things up. When you’re modelling your research, go to some weak or fake websites and ask students to justify whether they think the site would be useful and reliable. Eric Curts has an excellent article where he shares four fake sites to help teach students about website evaluation. This would be a great place to start! Finally, consider investing a little time in brushing up on research skills yourself. Everyone thinks they can “google” but many don’t realise they could do it even better (myself included!). I’ve turned this post into an easy-to-read PDF eBook. You can download it, print it, share with a friend, and read at your leisure. 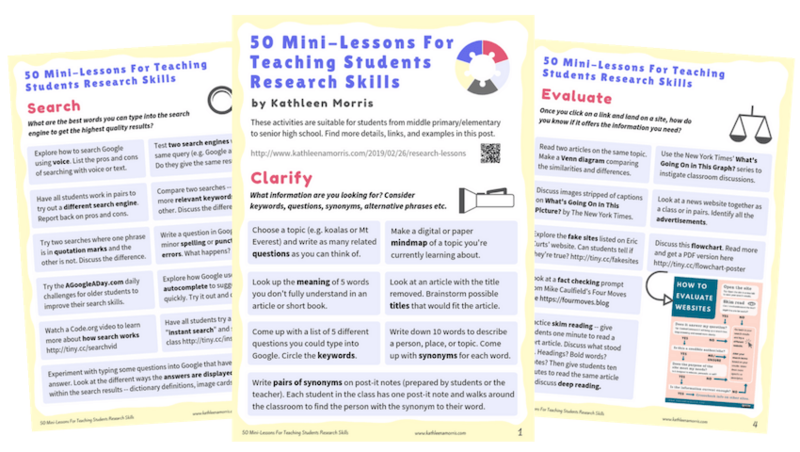 The PDF also includes three posters that you could use in your classroom PLUS my 50 mini-lesson ideas. If you’d like this free guide, add your details here and I’ll email it to you instantly! Would this resource be useful to you? Fill out the form below to get the PDF link in your inbox or simply click here to enter your details in your browser. What tips or resources can you add? How do you integrate information literacy into a busy curriculum? Do you use custom search engines designed for children? What a fabulous resource, Aaron. Thanks so much for sharing. This is definitely one that others should check out too. Even if teachers don’t use it with students (or are teaching young students), it could be a great source of learning for educators too. This is great information and I found the safe search sites you provided a benefit for my children. I searched for other safe search sites and you may want to know about them. http://www.kids-search.com and http://www.safesearch.tips . I really appreciate this blog post! Teaching digital literacy can be a struggle. This topic is great for teachers, like me, who need guidance in effectively scaffolding for scholars who to use the internet to gain information. So glad to hear it was helpful, Shasta! Good luck teaching digital literacy! Why teachers stopped investing in themselves! Thanks a lot for the article, but this is the question I’m asking myself after all teachers referring to google as if it has everything you need ! Why it has to come from you and not the whole education system! Why it’s an option? As you said smaller children don’t need search engine in the first place! I totally agree, and I’m soo disappointed how schooling system is careless toward digital harms , the very least it’s waste of the time of my child and the most being exposed to all rubbish on the websites. I’m really disappointed that most teachers are not thinking taking care of their reputation when it comes to digital learning. Ok using you tube at school as material it’s ok , but why can’t you pay little extra to avoid adverts while teaching your children! Saving paper created mountains of electronic-toxic waste all over the world! What a degradation of education. Thanks for sharing your thoughts, Shohida. I disagree that all schooling systems are careless towards ‘digital harms’, however, I do feel like more digital citizenship education is always important! 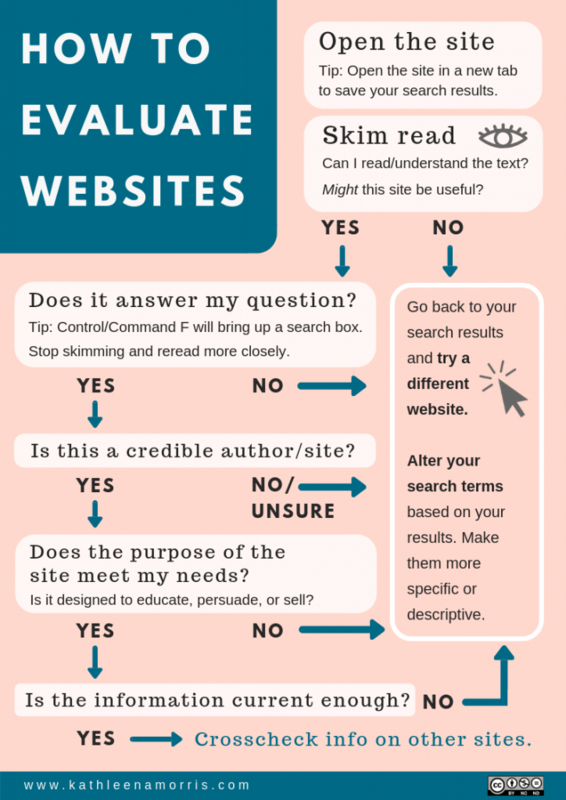 I love your How to Evaluate Websites Flow Chart! I was wondering if I could have permission to have it translated into Spanish. I would like to add it to a Digital Research Toolkit that I have created for students. You’re welcome to translate it! Please just leave the original attribution to my site on there. 🙂 Thanks so much for asking. I really hope it’s useful to your students!